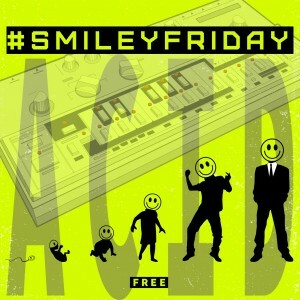 Every Friday It’s Smiley Friday ! It all begun on Twitter where a group of artists sharing the same interest in Acid Music Production started to tag each other every friday with a Smiley Image. It has not only been a lot of fun but was also an opportunity to enlarge their social media circle by meeting and following the followers of their followers and vice versa… Of course all of them were firstly linked by their passion of producing acid techno or just enjoying listening underground tracks from local artists. 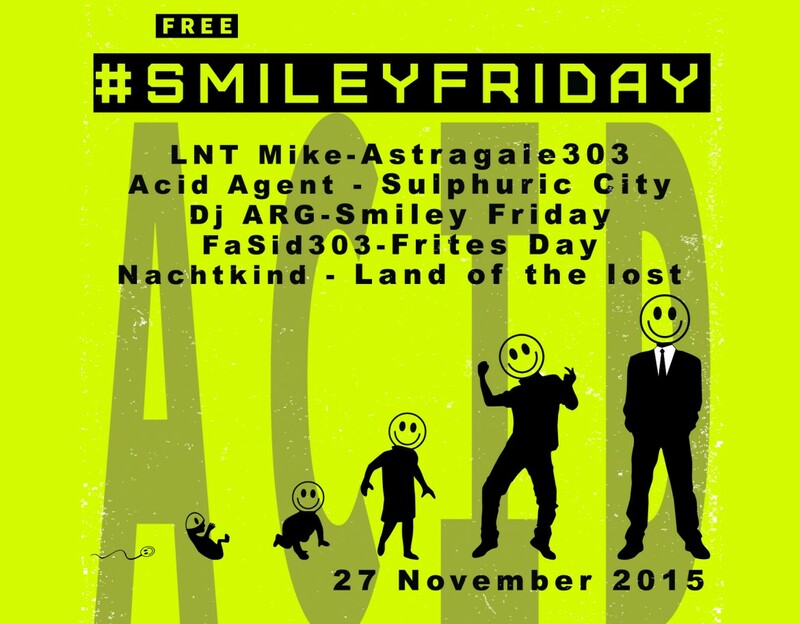 After a few weeks of Smiley Friday sharing madness, FaSid303 from Luik, Belgium had a genius idea. Why not creating a small compilation of music and offer it on free download ? 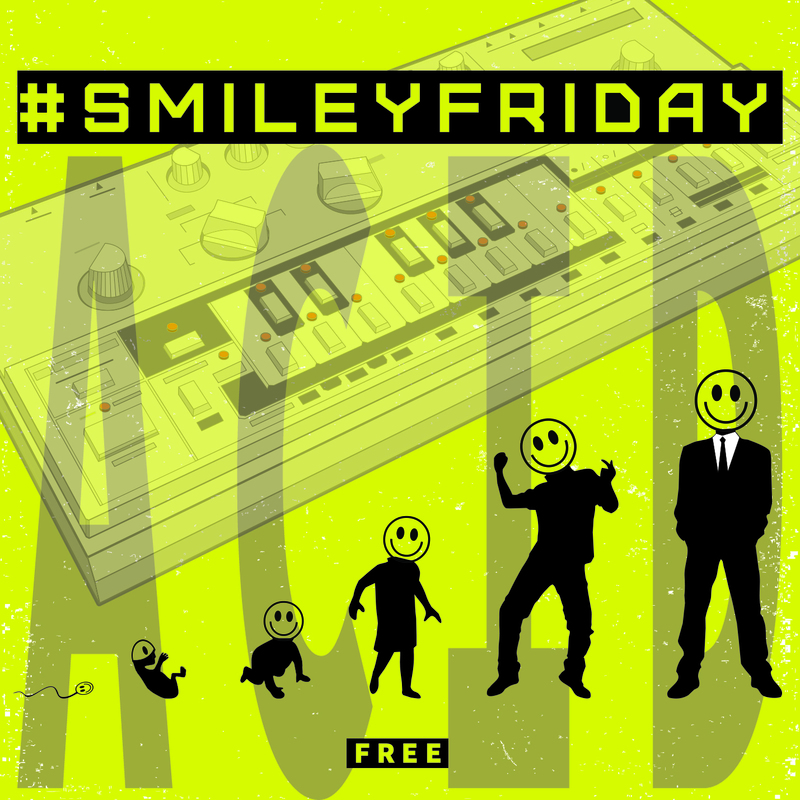 Just for the fun, not for the profit..
Few artists joined and here it is , the first Smiley Friday Compilation, the first of a serie !